With a provincial election less than a month away, CBC News spoke to Edmontonians who say they're looking forward to casting their votes. About five blocks from Alberta's legislature, Andrew Leoni cited corporate taxes facing small businesses and pipelines as his key election issues. He said he was leaning towards voting for the United Conservative Party but needs to do more research about the allegations behind the "kamikaze" candidate controversy swirling around UCP Leader Jason Kenney. "I voted for the NDP last time, like a lot of people who were sick of the [Progressive] Conservatives," Leoni said. "But it swung pretty far from the left last time. My mind's not made up quite yet." Marlen Neveu said pipelines and energy-sector jobs are the only issues she's concerned about in this election. 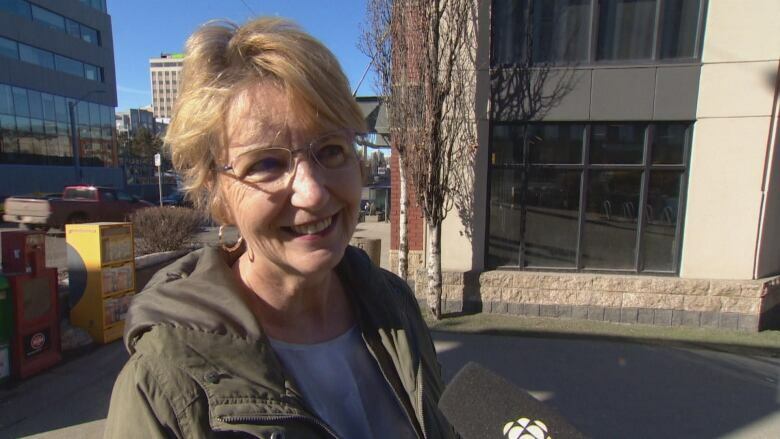 She said she wasn't happy with the NDP's efforts to get pipelines built over the past four years. "If that would have gone through, I probably would have been very happy," Neveu said. "But until that does, I'm not sure what I'm going to do." Deirdre Murphy, a teacher, is excited about the election. For her, education funding is an important issue, along with getting pipelines built. She's not expecting to change her vote on April 16. "I'm an NDP supporter," Murphy said. "I believe in the good work they've done. There's certainly some politicians I would not support. I think going forward it can be a very hopeful time." Mark Crawford said he was satisfied with the job the NDP and Rachel Notley have done over the past four years. He said he plans to vote for them and admitted it's unlikely he'll be convinced to vote for another party. "It's important to have an environmental policy, and energy policy that's based on truth," said Crawford. "I like that fact that we're an energy exporter and an energy exporting province, and the province has been lately taking a position that seems to be based on climate change truth, even though she [Rachel Notley] doesn't run away from pipelines, she at least doesn't pretend climate change isn't a problem."